Reynelda Muse, Bertha Lynn and Denver's black broadcast history - Denverite, the Denver site! 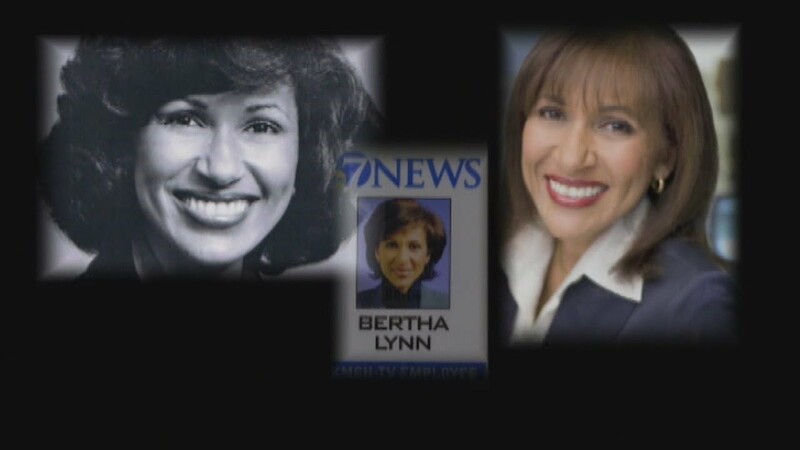 At one point, Bertha Lynn had the rare distinction of having anchored every time period in Denver TV news. Feb. 02, 2017, 6:45 a.m.
Twitter instantly responded with a mix of outrage and hilarity. Ask any high-school teacher what kind of answer that is, one post suggested: a generalized fudge from someone who didn’t do his homework. Heading into the one-twelfth of the year when we make a point of recognizing African-American notables, it’s worth saluting Denver’s own barrier-breakers who’ve “done an amazing job.” And let’s see if we can be a bit more specific. Read and watch more Denver Black History Month coverage here. Muse became the first woman and first African-American to anchor a newscast in Colorado in 1969, co-anchoring on KOA-TV (later KCNC-Channel 4). She withstood heat from viewers and station management for wearing an Afro. In 1980 she was lured away by Ted Turner to be among the first group of anchors on CNN, later returning full-time to KCNC. Additionally, with Harry Smith, she was co-host of “Smith and Muse” on KRMA and host of “American Skyline” on Pacific Mountain Network in Denver. She retired as a TV anchor in November 1997 when the station replaced her newscast with the syndicated game show “Hollywood Squares.” The Reynelda Muse Television Journalism Scholarship, awarded annually to an African American student majoring in television journalism, was established in her honor by the Colorado Association of Black Journalists. She was inducted into the Broadcast Pioneers of Colorado Hall of Fame in 1999. She was an active member of the Denver arts community and a visiting professor at the University of Colorado School of Journalism. A fixture on Denver TV for nearly 40 years, Lynn left KMGH-Channel 7 in 2013 to become executive director of the Children’s Diabetes Fund. Lynn began in Denver TV in 1976 as a 22-year-old summer intern and rose through the ranks at KUSA-Channel 9, then KBTV. She joined KMGH in 1984 and became the 11 a.m. news anchor. At one point she had the rare distinction of having anchored every time period in Denver TV news. Watching TV as a girl, she noted “there were not a lot of people who looked like me.” She remembers seeing Michele Clark, the first black network news reporter, covering the 1972 Democratic National Convention. That was a defining moment for her. Lynn remembers thinking, “If I do a good job, other minorities will get an opportunity.” The Colorado Association of Black Journalists named its Lifetime Achievement Award for Lynn. Lynn was inducted into the Denver Press Club Hall of Fame, and in 2010, she was named to the Broadcast Professionals Hall of Fame. “Soul Power!” was the motto when the radio station, originally playing Country & Western, changed its format to R&B and Soul in April 1967. James Walker, known on-air as “Dr. Daddy-O,” was the owner, said to be the first owner of an urban radio station West of the Mississippi. He was certainly the original proponent of R&B music in town, a voice for the community and a conduit for young talent of color to get into the business. The station was sold to Peoples Wireless, Inc. for $900,000 in January 1991. Denver’s only black station signed off in May 2002 when Phillip Anschutz bought it for $2.7 million, changing the format to news/talk and the call letters to KNRC.